Here at Haul Away Auto Transport offers special discount military car shipping pricing. We understand the challenges that our military service members face every day, and we don’t think that worrying about moving your POV to your new CONUS duty assignment needs to be one of them. Whether it is a PCS move or an extended TDY duty assignment, we can provide you with the easiest way to move your car across the country for a price you can afford on a military budget. The average military family will move once every two years, and often to places that they never expected to live. We understand that you may be moving far away from anyone you know into an unfamiliar neighborhood where you have never lived. You need to have your POV at your new assignment, and the last thing you need to worry about is driving it cross country yourself when you have so many other obligations to consider. Your mission is to keep us safe, and our mission it to provide you with the safest and most efficient form of military car shipping service possible. Whether this is your first PCS or you are a veterans of multiple moves, the difference that your car can make at a new base cannot be understated. 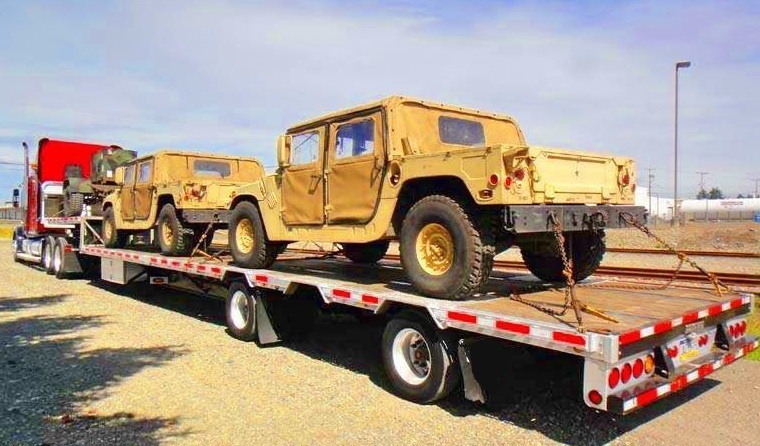 Our military car shipping service can provide you with your vehicle right when you need it most. Haul Away Auto Transport prides itself on providing reliable service to our military customers, and in gratitude for your service we offer a military discount. Whether you are shipping your primary POV that you need to get to work or a custom vehicle that is an investment for your future, you can trust it to us. Our highly reliable service covers all the major routes in the United States, with a vast network of carriers that can get you to any CONUS base. We believe that our military service members deserve special consideration when it comes time to move, and you can count on us to get your POV to your assignment safe and sound. If you have any questions about our service please read our FAQ section or Contact US with any and all concerns about our military car shipping program and discounts. Please take a moment to check out Our Reviews and read stories from out satisfied customers.